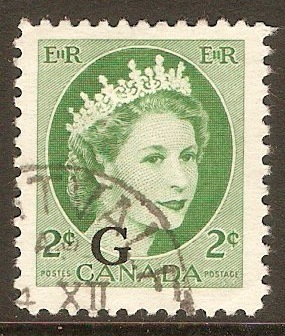 Canada 1953 2c Green - Official stamp. SGO197. 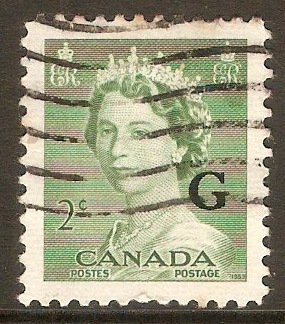 Used 1953 2c Green - Official stamp. SGO197. 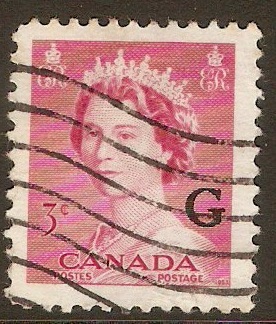 Canada 1953 3c Carmine - Official stamp. SGO198. Used 1953 3c Carmine - Official stamp. SGO198. 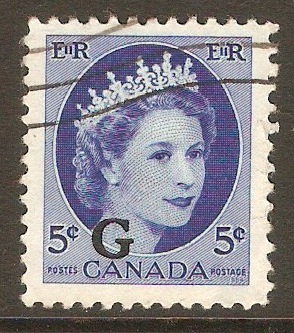 Canada 1953 4c Violet - Official stamp. SGO199. 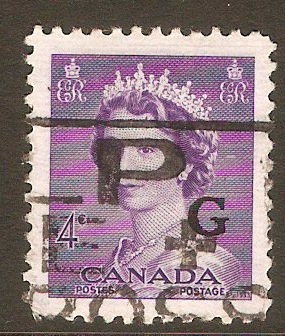 Used 1953 4c Violet - Official stamp. SGO199. Canada 1955 2c Green - Official stamp. SGO203. Fine used 1955 2c Green - Official stamp. SGO203. Canada 1955 5c Bright blue - Official stamp. SGO205. Fine used 1955 5c Bright blue - Official stamp. SGO205. Canada 1951 4c. Black. SG436. Mounted Mint 1951 4c. Black. SG436. 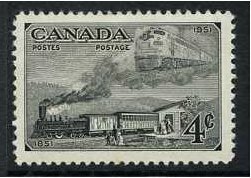 Stamp design shows Mail Trains from 1851 and 1951. Canadian Stamp Centenary. Canada 1951 5c. Violet. SG437. Mounted Mint 1951 5c. Violet. SG437. 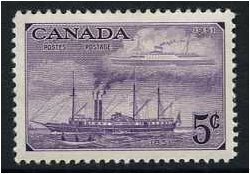 Stamp design shows ships SS City of Toronto and SS Prince George. Canadian Stamp Centenary. 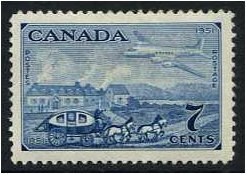 Canada 1951 7c. Blue. SG438. Lightly Mounted Mint 1951 7c. Blue. SG438. Stamp design shows Mail Coach and DC-4M North Star. Canadian Stamp Centenary. Canada 1952 7c Blue - Canada Goose. SG443. 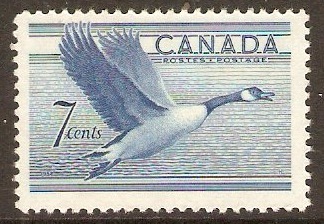 Mounted mint 1952 7c Blue - Canada Goose. SG443. Canada 1953 Wildlife Set. SG447-SG449. Unmounted mint 1953 Wildlife Set. SG447-SG449.